This column highlights recent clinical trial data and landmark trials to provide relevant information and links for obtaining trial data and articles to facilitate discussion with patients and other providers. The trial is identified by its acronym, its ClinicalTrials.gov Identifier (NCT Number) and its journal reference. When possible, the reference will include the study design paper and the main outcomes. If the Clinical Trial Study Group has made a slide set available, the link will be included. A summary provides primary outcome results. Selected abstracts also may be highlighted with a summary of the main points. References (related): 1. Marso SP, McGuire DK, Zinman B, Poulter NR, Emerson SS, Pieber TR, Pratley RE, Haahr PM, Lange M, Frandsen KB, Rabøl R, Buse JB. Design of DEVOTE (Trial Comparing Cardiovascular Safety of Insulin Degludec vs Insulin Glargine in Patients With Type 2 Diabetes at High Risk of Cardiovascular Events) — DEVOTE 1. Am Heart J. 2016;179:175-83. 2. Marso SP, McGuire DK, Zinman B, Poulter NR, Emerson SS, Pieber TR, Pratley RE, Haahr PM, Lange M, Brown-Frandsen K, Moses A, Skibsted S, Kvist K, Buse JB; DEVOTE Study Group. Efficacy and Safety of Degludec versus Glargine in Type 2 Diabetes. N Engl J Med 2017;377:723-732. Results: The primary outcome occurred in 325 patients (8.5%) in the degludec group and in 356 (9.3%) in the glargine group (hazard ratio, 0.91; 95% confidence interval, 0.78 to 1.06; P<0.001 for noninferiority). The mean A1C was similar between the two groups, with a significantly lower fasting glucose in the degludec group than in the glargine group (128±56 vs. 136±57 mg/dl, P<0.001). Severe hypoglycemia occurred in 187 patients (4.9%) in the degludec group and in 252 (6.6%) in the glargine group (rate ratio, 0.60; P<0.001 for superiority; odds ratio, 0.73; P<0.001 for superiority). Summary: This Phase 3 trial enrolled patients with Type 2 diabetes who were at high risk for cardiovascular (CV) events to assess CV safety as compared with insulin glargine. A total of 7,637 patients was randomly assigned to receive either degludec (3,818 patients) or glargine (3,819 patients) once daily, with 98% having completed the final follow-up visit or died during the trial and vital status known for 99.9% of the patients. The median observation time was 1.99 years, and the median exposure time was 1.83 years. The mean age at entry was 65.0 years with mean duration of diabetes of 16.4 years and mean A1C of 8.4±1.7%. 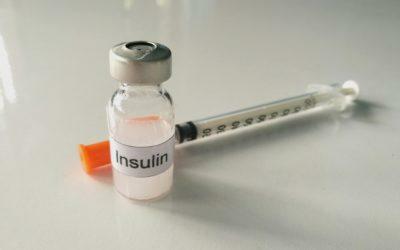 At baseline, 83.9% were receiving insulin, with 54.8% on a basal-bolus regimen. There was no significant between-group difference in changes of A1C levels throughout the trial. The primary composite outcome of first occurrence of death from CV causes, nonfatal myocardial infarction or nonfatal stroke occurred in 325 patients (8.5%) in the degludec group and in 356 patients (9.3%) in the glargine group, meeting criteria for noninferiority but not superiority. Severe hypoglycemic events decreased with degludec: 280 events in 187 patients in the degludec group and 472 events in 252 patients in the glargine group. The rate was 3.70 events per 100 patient-years in the degludec group and 6.25 events per 100 patient-years in the glargine group, which met criteria for superiority. In addition to the 40% decrease in severe hypoglycemia, there was a significant 53% decrease in nocturnal severe hypoglycemia. These data are important because they show that CV events do not increase with this (relatively) new basal insulin. More importantly, overall severe hypoglycemia and nocturnal severe hypoglycemia both decrease with insulin degludec more than when insulin glargine was first introduced compared with NPH insulin. Given the importance of decreased hypoglycemia in the choice to transition patients from NPH to insulin glargine, we must now consider the process of moving forward to transition to insulin degludec with a goal of further reduction in nocturnal and severe hypoglycemia. References (related): 1. Neal B, Perkovic V, de Zeeuw D, Mahaffey KW, Fulcher G, Stein P, Desai M, Shaw W, Jiang J, Vercruysse F, Meininger G, Matthews D. Rationale, design, and baseline characteristics of the Canagliflozin Cardiovascular Assessment Study (CANVAS)–a randomized placebo-controlled trial. Am Heart J 2013;166:217-223. 2. Neal B, Perkovic V, Matthews DR, Mahaffey KW, Fulcher G, Meininger G, Erondu N, Desai M, Shaw W, Vercruysse F, Yee J, Deng H, de Zeeuw D, CANVAS-R Trial Collaborative Group. Rationale, design and baseline characteristics of the CANagliflozin cardioVascular Assessment Study-Renal (CANVAS-R): A randomized, placebo-controlled trial. Diabetes Obes Metab 2017;19:387-393. 3. Neal B, Perkovic V, Mahaffey KW, de Zeeuw D, Fulcher G, Erondu N, Shaw W, Law G, Desai M, Matthews DR; CANVAS Program Collaborative Group. Canagliflozin and Cardiovascular and Renal Events in Type 2 Diabetes. N Engl J Med 2017;377:644-657. 4.Watts NB, Bilezikian JP, Usiskin K, Edwards R, Desai M, Law G, Meininger G. Effects of Canagliflozin on Fracture Risk in Patients With Type 2 Diabetes Mellitus. J Clin Endocrinol Metab 2016;101:157-66. Primary Outcome Measure: Time to first occurrence of major adverse CV events, including CV death, nonfatal MI and nonfatal stroke. Results: The rate of the primary outcome was lower with canagliflozin than with placebo (occurring in 26.9 vs. 31.5 participants per 1000 patient-years; hazard ratio, 0.86; 95% confidence interval [CI], 0.75 to 0.97; P<0.001 for noninferiority; P=0.02 for superiority). The renal outcomes are statistically significant but show a possible benefit of canagliflozin with respect to the progression of albuminuria (hazard ratio, 0.73; 95% CI, 0.67 to 0.79) and the composite outcome of a sustained 40% reduction in the estimated glomerular filtration rate, the need for renal-replacement therapy or death from renal causes (hazard ratio, 0.60; 95% CI, 0.47 to 0.77). Adverse reactions were consistent with the previously reported risks associated with canagliflozin, except for an increased risk of amputation (6.3 vs. 3.4 participants per 1000 patient-years; hazard ratio, 1.97; 95% CI, 1.41 to 2.75); amputations were primarily at the level of the toe or metatarsal. Summary: Mean age of participants was 63.3 years, with 35.8% women. The mean duration of diabetes was 13.5 years, and 65.6% had a history of cardiovascular disease. The mean difference in A1C between the canagliflozin group and the placebo group was –0.58%. As expected, there was weight loss and lowering of blood pressure in the canagliflozin group. The rate of the primary outcome was lower with canagliflozin than with placebo (occurring in 26.9 vs. 31.5 participants per 1000 patient-years; hazard ratio, 0.86; 95% confidence interval [CI], 0.75 to 0.97) with a p value <0.001 for noninferiority and p=0.02 for superiority. Superiority was not shown for the first secondary outcome in the testing sequence (death from any cause; P=0.24); therefore, further hypothesis testing was discontinued, meaning that the other fatal secondary outcomes, including death from any cause and from cardiovascular causes, are not considered significant. Similar to the prior study with empagliflozin, there was a decrease in hospitalization for heart failure, suggesting this may be a class effect. The renal effects are very interesting. Based on trial design, they are not considered statistically significant, but canagliflozin was associated with a decrease in progression of albuminuria, eGFR, the need for renal-replacement therapy and death from renal causes. The amputation data were unexpected, and the significance is unclear. This represents a patient population not usually included in clinical trials. The other agents in this class did not collect data on amputations and thus cannot go back to assess this end point. The issue of peripheral vascular disease (PVD) and amputations raises an important question that deserves to be studied in a trial dedicated to glucose control in people with PVD, who tend to already have multiple complications related to Type 2 diabetes. Together, these outcomes demonstrate the value of the SGLT-2 class and, specifically, canagliflozin on outcomes that are crucial to decreasing the morbidity and mortality associated with Type 2 diabetes. References (related): Petrie JR, Chaturvedi N, Ford I, Hramiak I, Hughes AD, Jenkins AJ, Klein BE, Klein R, Ooi TC, Rossing P, Sattar N, Stehouwer CDA, Colhoun HM, and on behalf of the REMOVAL Trial Team. Metformin in adults with type 1 diabetes: Design and methods of REducing with MetfOrmin Vascular Adverse Lesions (REMOVAL): An international multicentre trial. Diabetes Obes Metab. 2017;19:509-516. Petrie JR, Chaturvedi N, Ford I, Brouwers MCGJ, Greenlaw N, Tillin T, Hramiak I, Hughes AD, Jenkins AJ, Klein BEK, Klein R, Ooi TC, Rossing P, Stehouwer CDA, Sattar N, Colhoun HM, for the REMOVAL Study Group. Cardiovascular and metabolic effects of metformin in patients with type 1 diabetes (REMOVAL): a double-blind, randomised, placebo-controlled trial. Lancet Diabetes Endocrinol. 2017;5:597-609. doi: 10.1016/S2213-8587(17)30194-8. Results: In all, 428 people with Type 1 diabetes were randomly assigned, with 219 allocated to metformin and 209 to placebo. Progression of mean common carotid artery intima-media thickness (cIMT) was not significantly reduced with metformin (–0.005 mm per year, 95% CI –0.012 to 0.002; p=0.1664), although maximal cIMT (a pre-specified tertiary outcome) was significantly reduced (–0.013 mm per year, –0.024 to –0.003; p=0.0093). A1C [mean 8.1% (SD 0.9) for metformin and 8.0% (0.8) for placebo at baseline] was reduced on average over three years by metformin treatment (–0.13%, 95% CI –0.22 to –0.037; p=0.0060), but this was all accounted for by a reduction at the three-month time point that was not sustained thereafter. Body weight and LDL cholesterol were reduced with metformin over three years of treatment; eGFR was increased; and insulin requirement was not reduced on average over three years. There was no effect on endothelial function, as measured by reactive hyperemia index, or on retinopathy. Discontinuation of treatment in 59 (27%) participants on metformin versus 26 (12%) on placebo (p=0.0002) was mainly due to an excess of adverse gastrointestinal effects, and there was no increase in hypoglycemia with metformin. One of the pre-specified safety measures was assessment of the risk of biochemical vitamin B12 deficiency, which was more than doubled over three years on metformin (12%) versus placebo (5%). The purpose of this study was to assess whether metformin treatment (added to titrated insulin therapy) reduced atherosclerosis, as measured by progression of cIMT in adults age 40 or above with Type 1 diabetes of at least five years duration and at increased risk for cardiovascular disease. CV risk was determined by having at least three of the following 10 risk factors. BMI ≥27; current A1C >8.0%; established CVD; strong family history of CVD (at least one parent, biological aunt or uncle, or sibling with MI, stroke or a coronary artery bypass graft at younger than 60 years); current smoker; microalbuminuria; eGFR <90; hypertension (BP ≥140/90 mm Hg or established antihypertensive treatment); dyslipidemia (or on established lipid-lowering treatment); and diabetes duration >20 years. Treatment with metformin did not improve cIMT, as a measure of CV risk, in people with Type 1 diabetes over three years of therapy. Furthermore, there was not a significant decrease in insulin requirements. There was, however, a clinically relevant decrease in body weight of 1.7 kg that was statistically significant. This study is very important because it formally tested, in a randomized controlled trial, the potential CV benefit. The authors concluded that “these data do not support use of metformin to improve glycemic control in adults with long-standing Type 1 diabetes as suggested by current guidelines.” However, they do suggest, presumably based on the modest decreases in weight and LDL-C, that there may be some role for metformin in long-term CV risk management for people with Type 1 diabetes. While these decreases in LDL-C would need to be sustained over many years, it is important to note that the groups were balanced with 81% to 82% statin use. Importantly, this study does not support the use of metformin in Type 1 diabetes, at least not for primary prevention of CVD.